Jessica & Brian kept their guest list small for their intimate Savannah wedding. 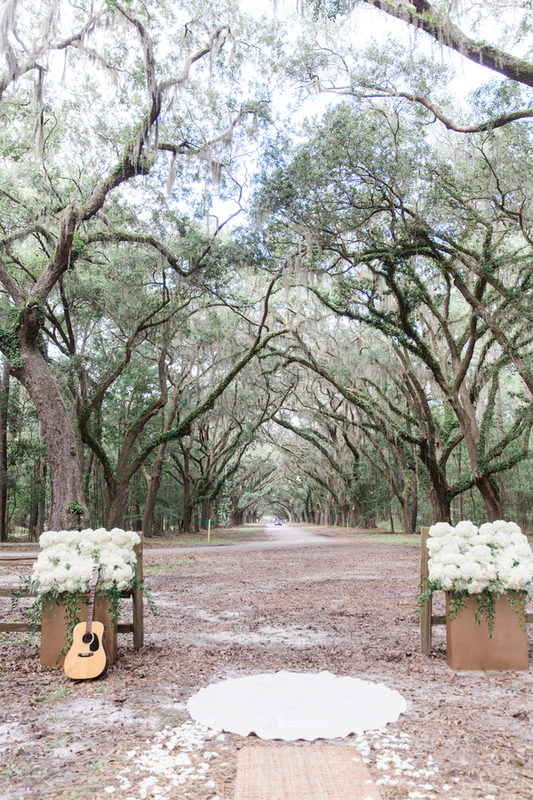 They picked a mid-September date and invited their nearest and dearest to join them at Wormsloe Plantation to witness their personalized ceremony. Beautiful Jessica wore a fitted lace gown and carried a bouquet of purple blooms with lamb's ear accents as she walked down the aisle. She joined Brian under a canopy of ancient oak trees as they said 'I do'. After their first kiss, guests showered the newlyweds with white flower petals. They spent some time touring the grounds with Ava Moore Photography, and even posed in front of a vintage 1937 Packard, before joining their guests to celebrate!